Today in worship, we had an intergenerational service. So, my kids were up front at craft tables for the whole event. Their job today was to draw portraits. One self portrait and then pictures of other people in the church. Geo created a great poster with all their pieces that our congregation then used as part of our community prayer time. They did an amazing job! I just snapped this photo in very poor light this afternoon. 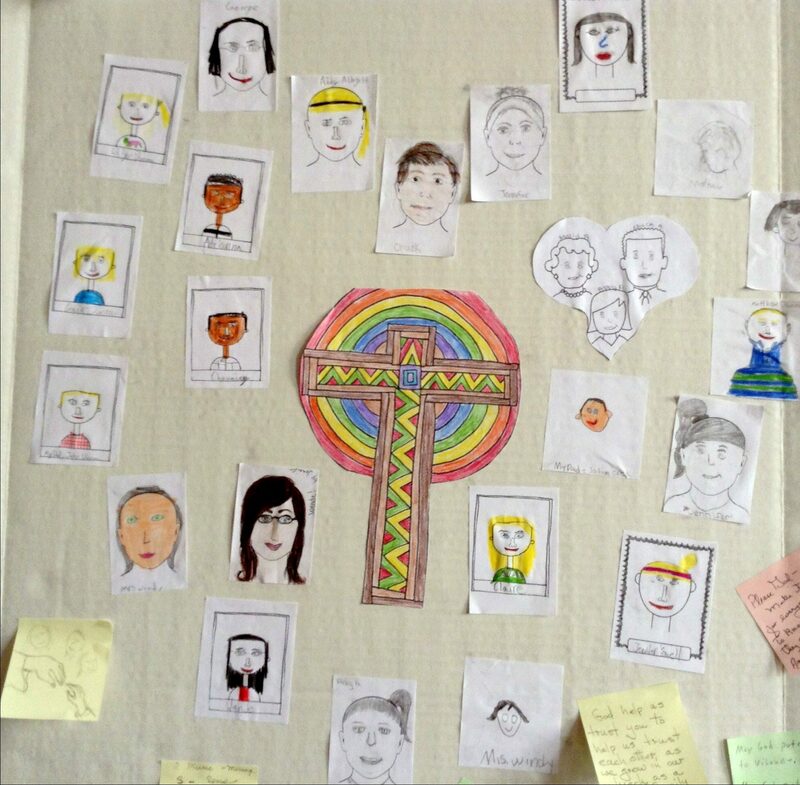 I should go back and grab better pictures: because they did such a lovely job creating their self portraits and drawing members of the congregation. But, sometimes I forget things. And in the process of leading the service today ( a service that was going to run WAY OVER! ), I completely forgot to suggest that they not ALL draw portraits of me. Um, yeah, so according to our poster there are at least 6 people named Wende in our church. Though, none of them look alike! I’m kicking myself for having us glue these things onto paper. So, I’m going to have to find a new way of doing this project again so we can make presents for our parents. Maybe next Christmas? Let’s hope I don’t forget that too.